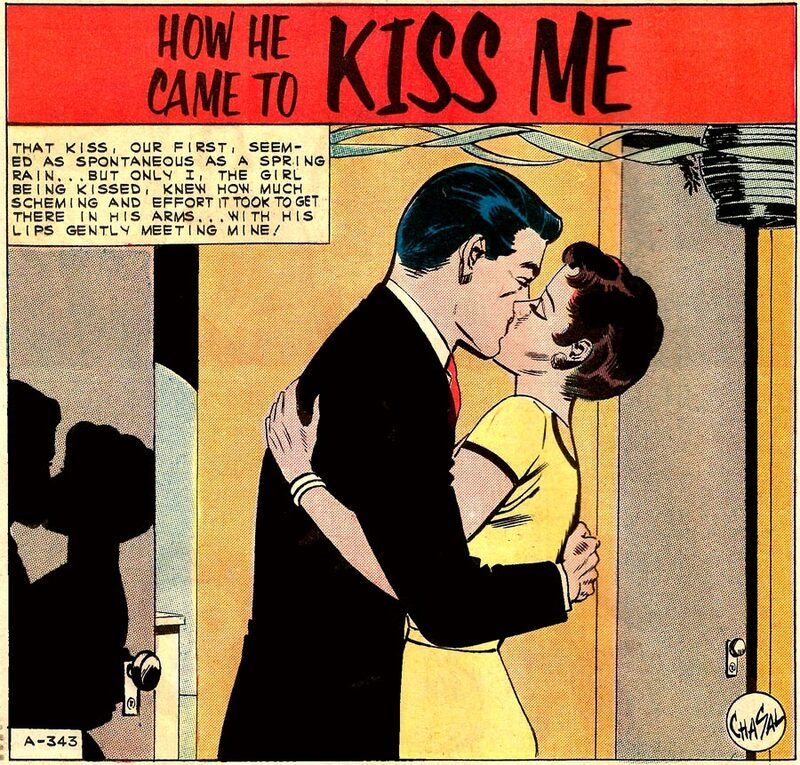 Art by Chasal (Charles Nicholas & Sal Trapani) in the story “How He Came to Kiss Me” from FIRST KISS #21, 1961. Right you are Mister B. Men are easy. More scheming than you might think. After all, their hair is done perfectly, his tie and suit are perfectly set up. It takes a lot of scheming to get a slob looking like that! Other possible obstacles to her quickly getting a kiss? Him being gay and married to her brother? It was actually having to murder his wife and his mistresses first. Then getting rid of the bodies and making it seem like a tragic series of accidents. So much scheming and effort. But it will come in handy if he steps out of line later! If, according to the overall title, he had to come before he kissed her, things were rather strangely schemed.